While RIC has been active since 2012, it officially constituted on 28 March 2015. It is structured non-hierarchically, with autonomous local groups throughout Scotland. Most activity centres around local groups – there is no national committee or council, though delegates from local groups meet regularly for discussion and coordination. Nationally, RIC is committed to remaining non-party-political. 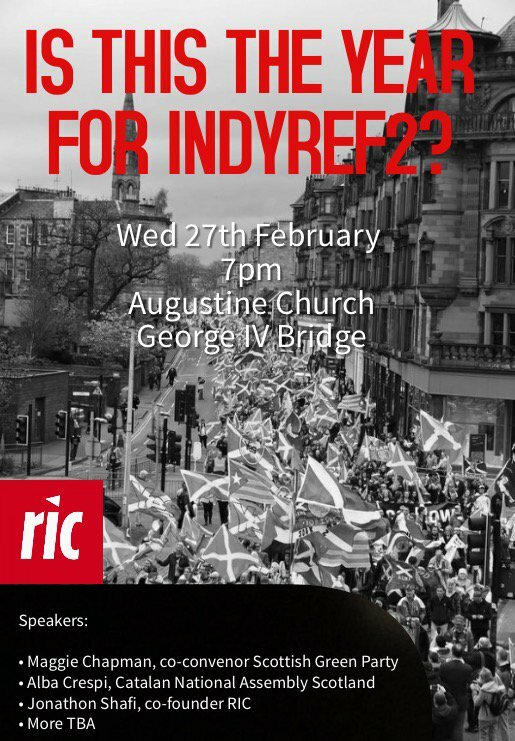 RIC events in 2015 have included a spring conference in Dundee, a march in Glasgow in support of the Greek people, anti-austerity demonstrations in Inverness, Glasgow and Aberdeen, radical economics and sustainable energy workshops in Aberdeen, a radical history workshop in Edinburgh, and protests around Scotland against TTIP, amongst a multitude of other local activities, including vigils for Syrian refugees. Later in the autumn there will be a national day of action, with a full conference in early 2016. RIC will be supporting STUC’s anti-racism activities in November, along with May Day marches in the spring. Post-referendum, RIC has remained vibrant, connecting activists in local areas and across Scotland, particularly to oppose austerity.